A leading Essex-based social care charity is celebrating after receiving its fifteenth ‘good’ rating from regulators. Dunelm, in Chadwell Heath, Romford, is the latest service run by Vibrance to receive the positive rating from the Care Quality Commission (CQC). Dunelm provides care, accommodation and support with personal care and nursing for up to 12 people with a learning disability. 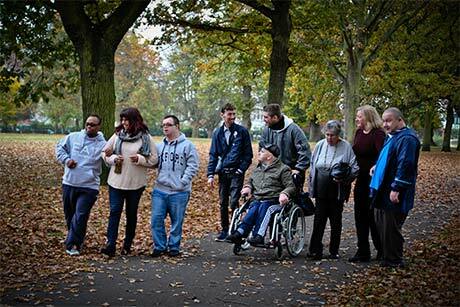 Ilford based charity, Vibrance, supports 400 people in services throughout London and the South East with learning disabilities and mental health issues, offering a range of community day services, low-support housing, nursing and care homes, short breaks, supported employment, as well as supporting 1,500 people in self-directed services. The CQC carried out an unannounced inspection at Dunelm in October, where they found a well led service, with good leadership and management. Inspectors said in their report, which was published in December, that people at the service were safe and ‘supported by kind, caring staff who treated them with respect’. Inspectors also praised the fact that people’s dignity and privacy were respected and that they were ‘encouraged to be as independent as possible’. Relatives and social care professionals also told inspectors that people received a safe service at Dunelm. One person said, “I have always worried about [my relative] and could not rest when they went into residential care but since they moved to Dunelm, I don’t have a worry in the world.’. Vibrance chief executive, Paul Allen, said: “We were delighted to learn that the CQC had given Dunelm a ‘good’ rating, making those 15 registered services in total to be given such a score. All of our staff work very hard to ensure that the people they support receive the very best care we can give, and Dunelm is no exception. Vibrance employs around 400 people and was named in The Sunday Times ‘100 Best Companies to Work For in 2010 and 2012.